Mothers have to be the most wonderful beings on this earth. And I know that everyone would agree with me. What is even more wonderful is to have a mother who supports everything you do. My mother happens to fall in that category. It doesn't matter what I say I want to do; my mother will always encourage me to go for it. She has her full faith that I can be a writer, a professor, a Mars-reacher and a Fluid Mechanics expert all rolled into one. And nothing I say, no negative energy and doubt I effuse makes any difference to it. My mother is also someone whom all my friends love. Keeping aside the amazing food she cooks, she somehow manages to com across as a friendly person and all my best friends, when they come home, ignore me completely and kick start a conversation with my mom! 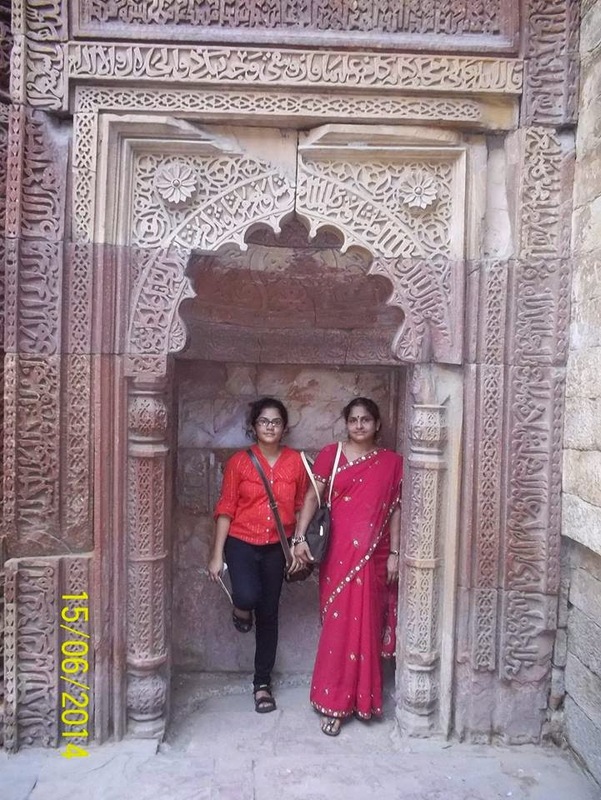 Though I have thousands of happy memories with my mother, I would like to recount a fairly recent one which made me love my mother even more. It all started with my sudden fascination with a typewriter. I don't remember the exact point where it started; I just remember sitting in my class one day and pining for one. A friend of mine (who happens to be pretty selfless and benevolent), looked up to me and instantly was like- you want a typewriter? I could get you one. Many are rotting in our factory at this moment. Without thinking anything, I jumped at the chance. I completely ignored the look my best friend was giving me from the side which clearly questioned my sanity and practicality. To be honest, I never expected my friend to be really serious about the whole thing. I mean, who gets a type-writer for someone, right? A few weeks later, he called me and asked me if I was really serious about the typewriter thing for he could get me one from his house (which is in Howrah). Me, busy on Facebook and not thinking much, mumbled a yes. He warned me that the thing was really huge and really heavy but I think I failed to register all that in my fantasy driven thoughts. My world came crashing when he really did turn up with a typewriter that weekend to our college (Which is in Haldia). When I finally registered the gravity of a 30 kg typewriter being brought by a friend who was no older than me from a place that was 200 km away from the place we studied all because of my sudden whim, my head spinned with the realization of the stupidity I did. My best friend continued a tirade of disbelief of what I did seeing that I had come to my senses but the harm was already done. The biggest question now was, how do I take the monstrous thing home? And what the hell do I tell my parents! 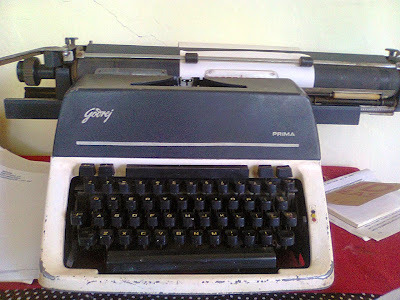 I suffered in misery for about a month with my friend getting irritated on one side for not showing any enthusiasm about taking the typewriter home and my fear on my parents' reaction. Finally, I mustered up the courage to tell my mother. She was silent over the phone as I told her the story, tears spilling out of my eyes for some inane reason. She said only one thing as she kept the phone- I will tell your father to pick you up from the station. Such a short conversation with mother was no good. Fearing my fate even more, I boarded the train, shouting down my friend's insistence of coming till Kharagpur (where I live) to deliver the typewriter. Trust my luck for the train to be late by 5 hours that day. I normally reach home within two hours, that day it took me 7 hours. I could not even leave the train and board a bus home because I couldn't possibly drag the typewriter on a break journey all by myself. Trying to ignore the stares I got from my fellow passengers, I wallowed in self-pity and misery for the entire trip. I expected a very angry father waiting for me at the station, but he was uncharacteristically cool. I did get a minor scolding on the way for being so foolhardy and bothering people with my silly fancies but it was milder than I was expecting. The only thing on my mind was my mother's reaction. She was uncharacteristically silent when I got home and surveyed the typewriter quietly and after what seemed like a long, long time, she said- It has been a long time since I typed on one. I nearly jumped with happiness then, trust my mother to be such a sport! She turned smiling towards me then and said- I hope your father wasn't too hard on you. I told him not to be since you had already repented over your whimsical decision without our scolding. 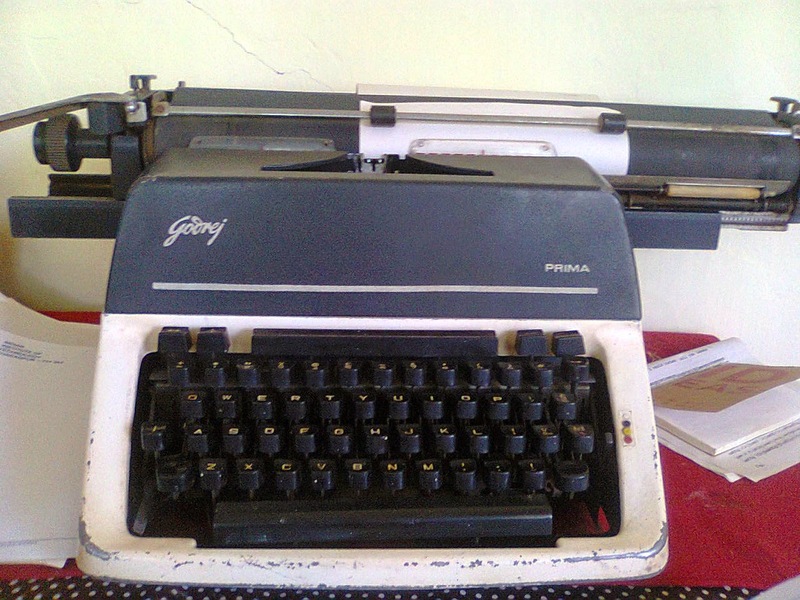 I hugged her, hard, and the happiness of owning a typewriter, finally kicked in. Next day, we both cleaned the dirty old typewriter for about 3 hours and then, she even taught me how to type with proper fingers and all! Hi.As always so happy reading ur blogpost!! !it was very very emotional too!! !was very heart touching!!! I have nothing to say...except-"Kudos to all the mothers....in this world"!!! of happy emotional filled my eyes.....! !thanks for this wonderful blogpost keerthi garu!!! Wow. I cannot believe that my words made you cry. That is a dream of every writer. I am so happy that you liked it and yes, kudos to all the mothers in the world! yes,i truly had tears-but that are tears of happy emotions!!! and tears-are answer for the happy emotions that one experiences!! !And in my view u have already excelled urself as a writer(its not exaggeration-i truly mean it)...no doubt in it!!! very happy to see ur comments too!!!! and kudos to u too....athroughout the post...all i can see/feel/sense is ur love for ur mother!!! as always i would wait for ur next blogpost...!!! things round u or ur upset with something...!is everthing fine now? hi.how r u?its been one months since blogposts have come up.